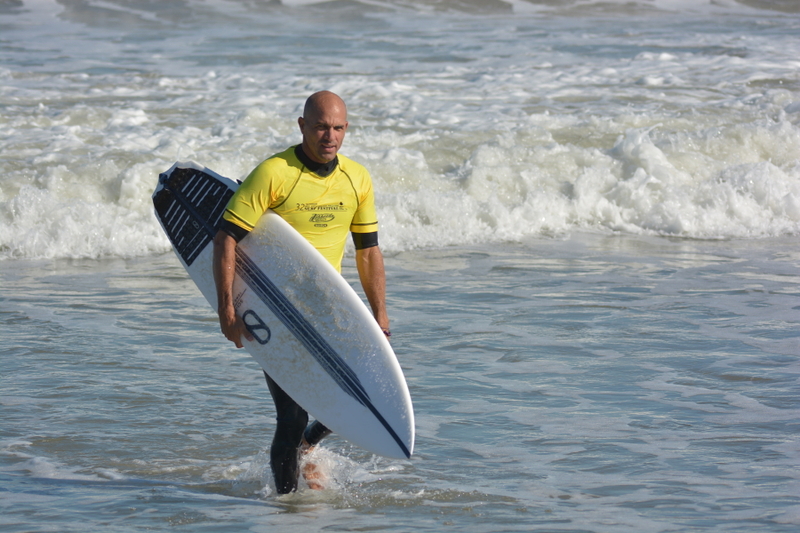 Kelly Slater made a surprise appearance this weekend at the 32nd Annual NKF (National Kidney Foundation) Surfing Team Competition, in Cocoa Beach, Florida. Surfing for Team Purps in memory of long time friend and confidant, Rich Salick, Kelly had to show his support. Rich supported the beginning when Kelly was a grom. He made Kelly his first surfboard, ran his first, contest, and so much more. Rich Salick was a staple to surfing, and with his brother Phil founded the NKF Surf Festival in 1985. More on the history of the NKF can be found here. This event is based on raising money and awareness for kidney disease, and finding better solutions to the challenges with this cause. If you would like to show your support and donate, please go to www.kidney.org, the National Kidney Foundation homepage.